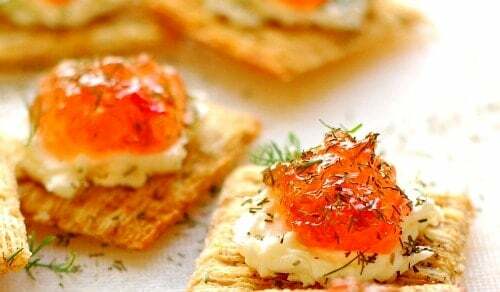 Easy to make pepper jelly cream cheese appetizer is so darn good. Everyone loves these crunchy treats. Have you been listening to the news lately? Not the headline news (ick! ), but the last minute news. Lester Holt needs to fill in space before signing off. He says, “young people are cooking less”. “Young people consider microwaving a pizza, cooking.” Now I know that none of Joe’s Healthy Meals readers would fall into this category, but it’s trending. 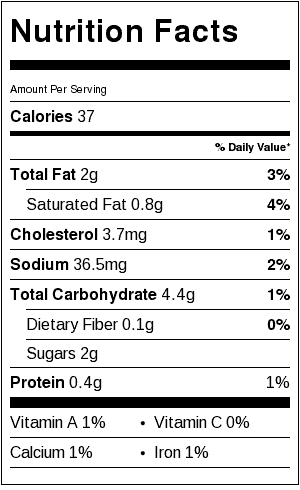 Therefore, to satisfy everyone, here’s a no cook recipe that’s an appetizer, and one that you should keep in mind anytime you need a fast app. 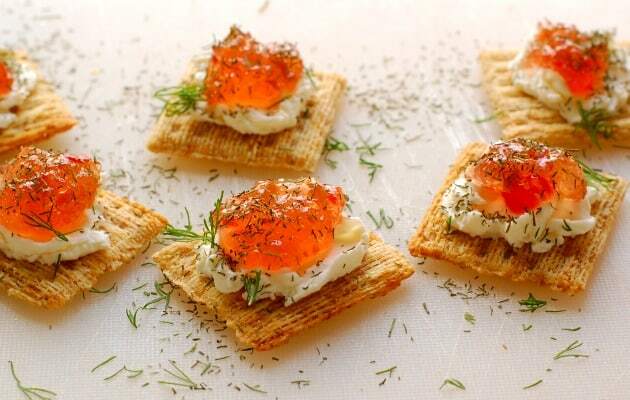 Pepper jelly cream cheese appetizer. I’ve been making these for quite a few years and perhaps not nearly often enough. They are easy, tasty, and you might just have these ingredients on hand anytime you want a satisfying appetizer. I first had this when Mary Jo and I had our friends, Robert and Christine, out for a springtime boat ride. We slowly cruised north of Stillwater on the St. Croix River that was swollen from the winter runoff. I remember it being a fairly nice day when we started, but before long we were putting up the canvas top and securing the side curtains to preserve the heat and get some protection from the wind. Then Robert unpacked these pepper jelly, cream cheese, and cracker appetizers they brought. We also uncorked a bottle of chardonnay and proceeded to eat them all. Lucky for us, Robert brought along extra Triscuits, cream cheese, pepper jelly and dried dill. Easy to make a second batch of the appetizers! When it comes to the pepper jelly, there are a lot of different kinds out there. Some are basically jalapeno peppers and the jelly is green. Others have habanero peppers and they will probably be red. I used Pam’s Pepper Jam which is a combination of jalapenos and habaneros and this one has raspberries in it too. 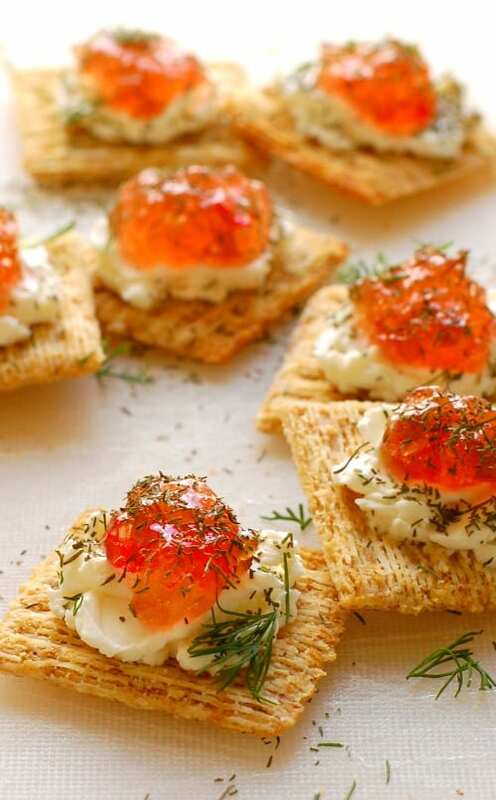 We think they’re all good, and when combined with the cream cheese and the dill, everything comes together with a perfect flavor and mouthfeel. They’re crunchy, salty, creamy, spicy, and a little tangy. Super easy. 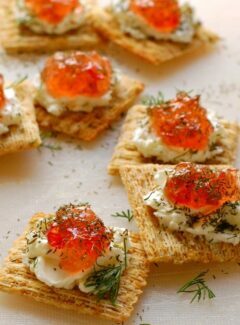 Spring pepper jelly cream cheese appetizers on some of your friends soon. They’ll be amazed at how good they are! 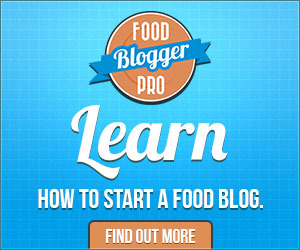 (More appetizer ideas are right here). Easy but so tasty. 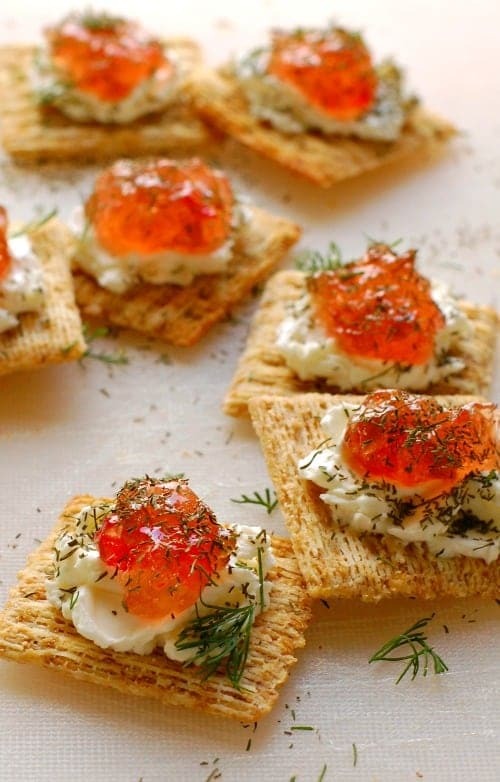 The dill and cream cheese pair divinely with the spicy pepper jelly. I’m unfamiliar with pepper jellies and am curious if there is a less spicy pepper option or is it something easily made? My British mouth and stomach hasn’t yet acclimated to even jalapenos! Hi Craig…Pepper jelly isn’t very spicy hot, but rather sweet/spicy and when combined with the cream cheese and dill, is somewhat mild but very tasty. Just give it a try. Would they be ok if made a day in advance? I think that would be fine Mary. Just keep them refrigerated. Hey Madeline…you can make a few hours ahead, just keep in a cool spot.